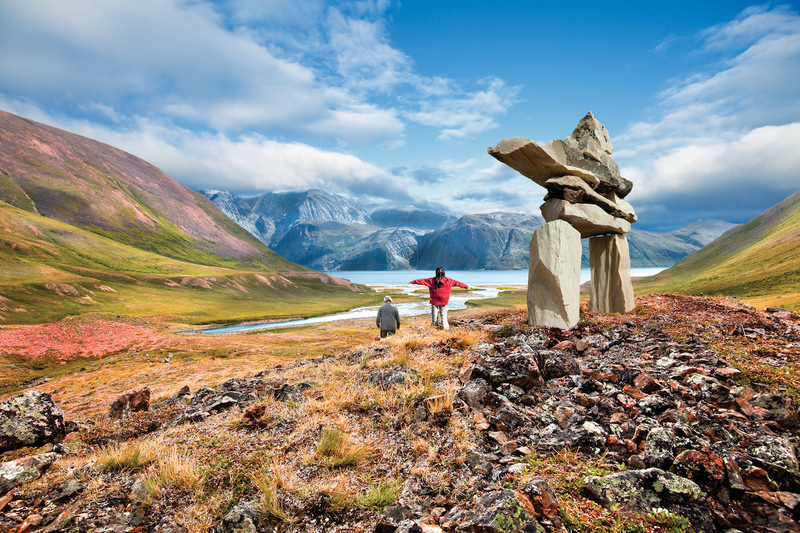 Culture abounds at the Torngat Mountain range. Two generations of Inuit culture- photo courtesy of Susan Eli. 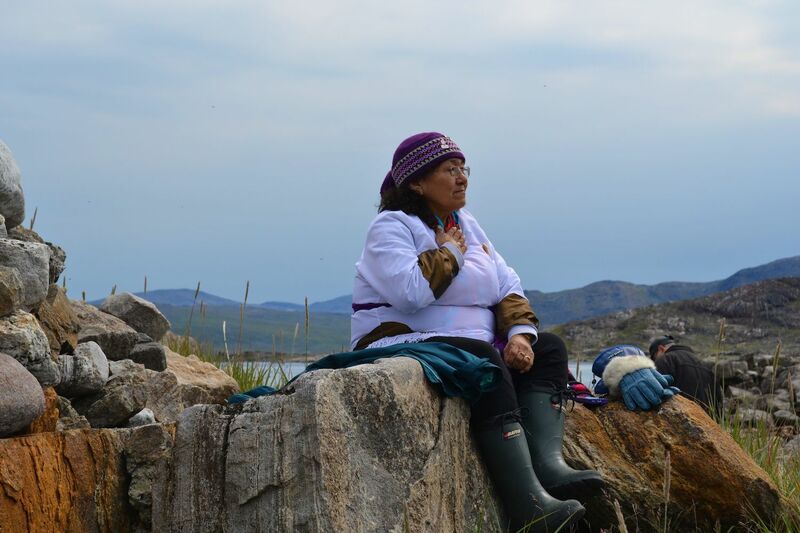 An Inuit woman sits and thinks- photo courtesy of Parks Canada. 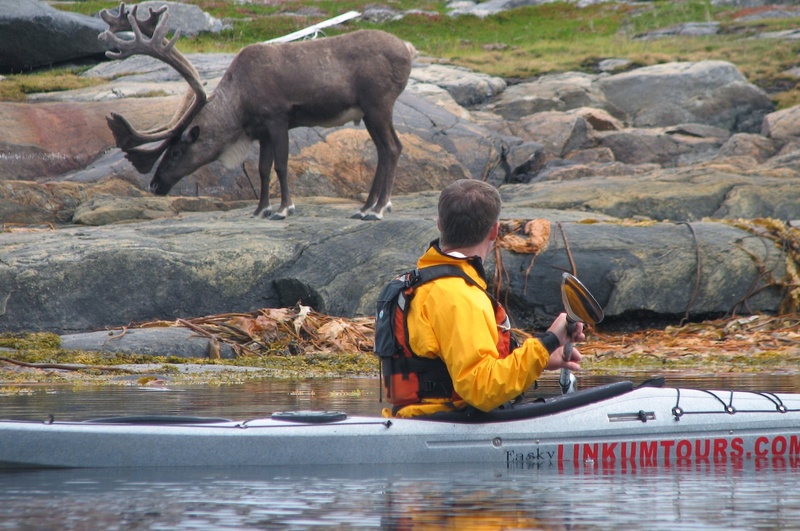 A visitor meets some of the Torngat wildlife. 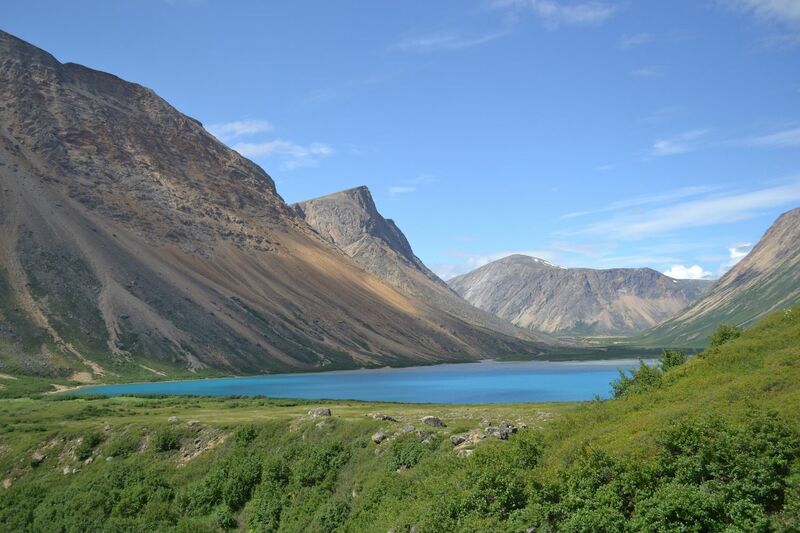 The beauty of the Torngat Mountain ranges- photo courtesy of Parks Canada. 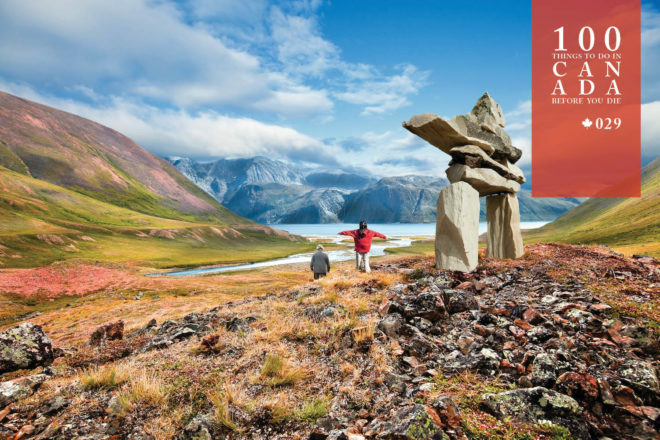 Have a cultural experience at one of Canada’s most remote, but also most beautiful locations. It’s number #29 in the 100 things to do in Canada before you die. On the southern coast of the eastern passage to Hudson Bay lies the Torngat Mountain range, a group of mountains as beautiful as they are remote. The entire region teems with activity from the wildlife – including polar bears and caribou – to myriad Inuit settlements. But few travellers ever make it this far. 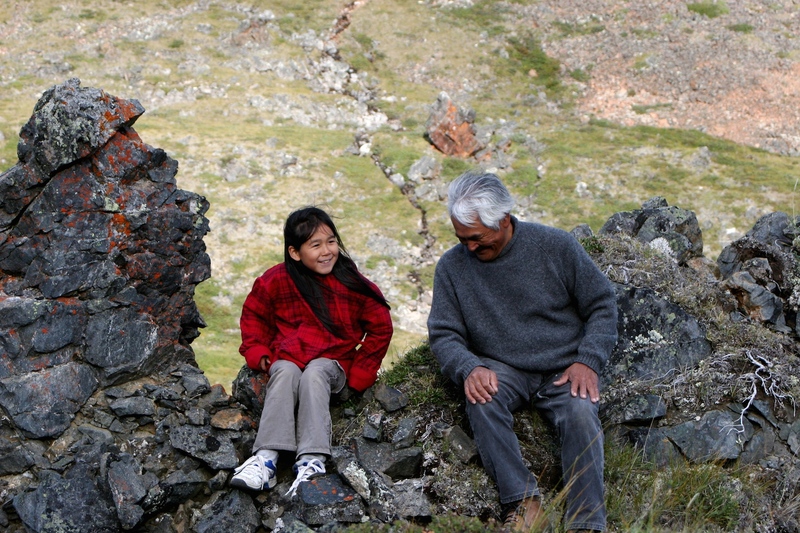 Those who do, however, do not regret it, especially those who come to the Torngat Mountain Base Camp and Research Station during summer, when a small community of Inuit elders and youths welcome visitors and researchers to listen to them speak about their communities and the mountains they’ve been traversing for many generations. A unique experience for an insight into Inuit life. It will enhance your appreciation of any further mountain venturing you may do. Torngat Base Camp offers packages and excursions every July to September. For more on Torngat Mountains National Park, go here. The Torngat Base Camp is on the northern coast of Newfoundland and Labrador at Kangidluasuk, the gateway to Torngat Mountains National Park. It can only be reached by a chartered flight from Saglek, which takes about 2½ hours on a 17-seater plane and includes a 20-minute refuelling stop.